Studies indicate that email subject lines are the third most important factor for subscribers opening your emails. Between 45-50% of people open emails because of the subject line. The only two factors more important, in fact, are who the sender is and whether the subscriber has found your emails to be of interest in the past. You can’t really do anything about who the emails are coming from, other than tweak your sender name — as your emails come from you. And if you’ve done done everything you can to provide useful, timely, and relevant content to your users (the alternative is considered “spammy”), your emails should be of interest to a subscriber. This leaves subject lines as the most important factor you can readily and easily change to boost open rates. So how do you determine the ideal subject line? Too many email marketers fail to adequately test, since until recently testing has been a difficult process requiring manually putting together separate email lists, scoring the results, and then importing the winning subject line into a new email for the remaining subscribers who were not part of the test. Recent advances in email software have automated some of these tasks, however, and have made the process smooth and easy enough to be used by any marketing department, whether you send multiple emails a day to a database of millions or just once a quarter to a hundred subscribers. Everyone at your organization, from the CEO to the new intern, probably has an idea of what kind of messaging should work best as your email subject line. Internally, as marketers we like to talk about our opinions. Yet, all too often, the only ones who aren’t “asked” for an opinion are the customers themselves. Testing subject lines rectifies that oversight and allows the subscribers to have a “say” in how they are approached by your company. In short, testing email subject lines allows your emails to be more relevant and useful to your audience, two fundamental principles that can make or break an email campaign’s performance. Running a controlled experiment lets you eliminate other potential variables that might complicate or obfuscate results. MarketTraq’s built-in Test & Roll™ technology enables marketers to test only the subject line without letting variables like time or day of send, or body content, make determining results more complicated. This gives marketers a clean source of data on the kinds of messages that entice their users to open an email, as well as giving them insights into what type of content and offers might play well in the body copy. Does Testing Subject Lines Really Produce Results? MarketTraq clients Spiegel and Newport News, both large and well-respected and well established brands and direct marketers, were already seeing strong returns on their email marketing. After analyzing performance and working with the client, though, MarketTraq analysts saw the potential of creating substantial revenue gains through realistic increases in open rates. Utilizing the A/B testing and MarketTraq’s Test & Roll technology, MarketTraq analysts deployed a multitude of tests across segments and lists, letting the system incrementally improve target metrics by rolling the best-performing subject line over to the full list once testing was done. Through numerous trials, MarketTraq was able to boost their open and click through rates enough to raise overall email revenue by over 19% — a result the Client could take to the bank. 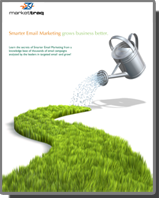 If you have already taken every step possible to ensure that your email list subscribers trust you as a sender, by using double opt-in email signups, and you strive to make your email content as useful and relevant as possible, email subject line optimization can be a great way to incrementally increase revenue and other email marketing KPIs.